A former president of the Nigerian Bar Association and gubernatorial aspirant of the All Progressives Congress, APC in Ondo granted an exclusive interview to Tori.ng's Correspondent, Osayimwen Osahon George during which he spoke about the forthcoming gubernatorial election in the sunshine state, his plans and other related issues. Tori: The 2016 gubernatorial race is quite a very competitive one. According to media reports, we have 30 aspirants under the banner of All Progressives Congress, APC and 10 under the People's Democratic Party, PDP. With all these competitors, are you optimistic about your victory and why sir? Aketi: Well, I don't know how you arrived at the figures but if they are correct, it is a welcome development. For me, I am particular about the APC. I know that the party to beat is the APC. PDP will have to struggle to ever surmount the APC's onslaught in the forthcoming gubernatorial election. With 30 people or so as you have said, I am very optimistic. I know that all the members of my party, APC are giving their sense of justice and fairness. They are fully aware they will have to make the choice of a formidable candidate and I am formidable enough to be their choice. Tori: The Commissioner for Information in Ondo state, Kayode Akinmade attacked your personality. He questioned your contributions to the development of Ondo state. Can you explain your contribution(s) to the development of Ondo state? Aketi: Some of us have been here in Ondo state, we occupied the position of Attorney-General and our record is there to show for it. So He (Kayode Akinmade) must not look at things from his very myopic view. He must be so young that I don't think he has a sense of history. So when it comes to contributions to Ondo state, I have made my own mark, I have made my own contributions in many ways as Attorney-General from the year 1997-1999 and I have been a child of the state as the president of the Nigerian Bar Association. So my contributions can't be questioned. He has just come up as the Commissioner for Information and the only job he has is to run people down and assassinate people's characters which can't be said to be a contribution to progress in Ondo state. The records are there for them if they care to look at it. Ask them in the judiciary, ask the lawyers, those who were around when I was the Attorney-General; I have made my contributions and I am proud of them. Tori: There are media claims that you abandoned Ondo state after the 2012 gubernatorial election. Where were you after the election sir? Aketi: Again, those arguments are coming from people who are myopic and have short memory. They can't track events or they have Selective Dementia, in that it is convenient for them to make false claims when they know they are not correct. If they can track events, I was in Ondo state after the election. I was in court for one year. Three months out of that year were spent in Abuja and other places. I was here in Ondo state at the election Tribunal and the Court of Appeal. After the court case to fight for my mandate, the defunct Action Congress of Nigeria, my party had its transformation to APC. I became the interim Chairman for APC in Ondo. I birthed the APC in Ondo state. After the congress, we had a new executive and almost immediately after that, we started the national campaign. I was actively involved with President Muhammadu Buhari and other party chieftains. I was with the presidential campaign committee and other groups. So what else? I have never left. It’s just that it is convenient for them to say it and by the time they are confronted with the facts, they run away from it. There is no politician in Ondo state whether dead or alive that has devoted more time to the politics of Ondo state and APC than myself. I can boldly say this. Tori: Can you share with us some lessons you have learned from the 2012 gubernatorial election in Ondo and how you intend to exploit your experience for positive gains in the upcoming 2016 gubernatorial election in the state? Aketi: A lot of lessons have been learned. This is not peculiar to me alone but also the party, particularly the legacy party, ACN where we came from. We have learned a lot from the last election. Firstly, today we have adopted a new means of selecting candidates. In the past, we had our own way of choosing our candidates which was convenient for us. That system has thrown up very great leaders in this country but today we are now going by the way of primaries to move us ahead. Another lesson we have learned is that if you have the opportunity, you must be in control of your own campaign and not mandate people to run around for you. You must have a core of people who are interested in power and not money to run the campaign. They are the people you must put in charge of a number of things on the election day. You can't put people who are interested in money and who are mercenaries as agents or anything in a campaign any longer which is a great lesson. And another one which I know all of us have learned in the past is that we have gotten to a point where we will only win this election by taking serious precautions to prevent rigging as the Labour Party did in the last time. We must work against rigging and the act of using money to influence voting. Tori: You have constantly criticized the administration of the current governor of Ondo state, Olusegun Mimiko for its failure to create jobs. What are your plans to alleviate the problem? Aketi: Job creation is paramount. Job creation is the only way to guarantee security. It is the only way people can talk about dividends of democracy. If you have an army of youths that are unemployed, there can't be adequate security. I have said that we will create jobs in Ondo state by going back to the basics. There are lots of jobs that can come from a chain of agricultural programmes. So our own job creation is going to be through agriculture, industrialization and entrepreneurship. Those are the things we want to do. Overtime, I will provide specifics but for now, job creation is the bedrock of our goals. We can encourage people to acquire skills, own their own businesses and employ others. We will also establish a few industries in the state that will be encouraged. With that, people will have jobs. Except we are able to do that, we have missed it. Tori: Large sections of the Ondo electorate believe you will have problems governing the state due to the fact that you are based in Ibadan, Oyo state. Do you think that will be a militating factor? The most important thing is that you have commitment to your state and you are ready to live what you are doing to come and serve your people. That is what should be at play and that is what should matter to everybody. I am ready to leave what I am doing to come and serve the people of Ondo state. People have overtime returned from Lagos to Ondo, Abuja and even Canada during the election. There was a lecturer that came from the University of Ibadan and He did well. So what are they saying? Was Governor Mimiko living here in Ondo state? Was He not a Minister in Abuja? Everyone has the right to practice in a place where he can grow and attend to people. The Yorubas have an adage which says; “We have gone to work and we are bringing what we have gained back home for the best of our people” That's what we are trying to do. Tori: The Internally Generated Revenue, IGR of Ondo state between the month of January to November, 2015 was N10 billion. This was highly celebrated by the state government knowing fully well Lagos state achieves more than double that amount, specifically an average of N23 billion monthly. What are your plans to improve the IGR of Ondo state? Aketi: The Internally Generated Revenue of any state is dependent on many factors. That you are celebrating a N10 billion achievement is no doubt being parochial because we can do more than that. The only way you can increase the IGR is partly to ensure you have created jobs for people. This is because part of the IGR has to come from a thriving economy. When you don't have industries, when people are not working, there is no time the IGR will pick up. We can really do better. So many things can be done. We are an oil producing state and up till today, we don't have any industries where by-products of oil are being made. So why are we an oil-producing state? Why have we not being able to attract one or two refineries. Aliko Dangote was supposed to invest in Olokola but because of ineptitude of the government, such an enterprise that would have given a boom to the economy of the state was moved to Lagos. So if you talking about IGR, there are many things you have to put in place to increase it and we will focus on them if we have the opportunity of being in charge of the state. Tori: What are your plans for the elders and widows as well as a poverty alleviation strategy for Ondo people? Aketi: There will be a social security plan for the elders and widows so that they can be comfortable at their old age. I am convinced that providing food for the elderly ones will ease their problems. With the provisions from the state, they will be able to eat. By providing food, poverty becomes reduced in the state. A Yoruba adage says: ''Ti won ba yo owo ebi kuro, Ise ku ferefe'' (If the problem of hunger is resolved, poverty will be drastically reduced). To alleviate poverty, our plan is very simple; we will be looking at job creation. People will be encouraged to venture into several areas of agriculture like poultry, piggery, fishery and so many other areas which are unending. Today, we are talking about having a grazing area. Must we continue to move cattle from one area to another for grazing? Do we see cattle being moved around in advanced countries? Don't they stay in one place and feed fat? So this will be part of our contributions to the development of agriculture in the state. Ondo will have its own ranch where people can visit to buy fat and healthy cows. We will also develop a farmstead. We can see if we can have rural development and community extension services so that people will not drift to town again. The act of rural-urban migration must be discouraged. We will also provide necessary basic amenities in the rural areas for people to stay, farm and live. With that, including lots of other things in our programme to be done will help in alleviating poverty. Tori: There is a popular claim that you are Asiwaju Bola Ahmed Tinubu's puppet. Can you explain the relationship between you and the APC national party leader? Aketi: I know Asiwaju Bola Ahmed Tinubu very well. He is a great leader of our party. He is very gifted. He has that gift of discovering people of good qualities. You can't take that quality away from him. He has done this over and over. He looks at different areas with other party leaders and discovers people that will be able to impart positively on the lives of people in their own states. To the best of my knowledge, Bola Ahmed Tinubu isn't someone that could harbour puppets. I am not too sure he wants people he can be tossing around. He has great respect for people who are intelligent and independent. I have also been his Lawyer and have handled one or two cases for him. We have mutual respect for each other. A man that has occupied the position of presidency of the Nigerian Bar Association is not expected to be a puppet to anybody. For him, he has respect for me and I also have great respect for him as a leader of our party. I know that in his own ways, he more or less discovered that this young man can do something good for Ondo state. That is all he has done. For me, the best I see of him is that he identifies good persons for states with a readiness to give them the needed strong backing not because he wants that person to become his puppet. So anybody saying I am a puppet of Bola Tinubu will be wrong. We must be able to acknowledge his contributions to democracy. 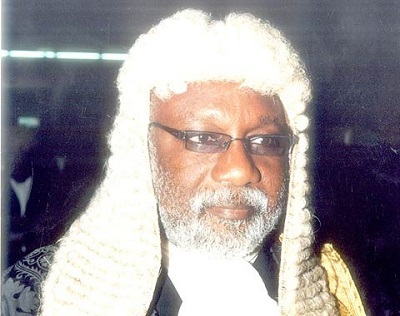 Tori: Any parting words for the people of Ondo state? Aketi: As for my parting words for Ondo people; we are coming, there is hope and we can see the light at the end of the tunnel. I call on them to give us the support, particularly our party members at the primaries and the state as a whole during the general election when we could have emerged as the gubernatorial candidate of our party. I want to tell them that this is a matter of passion and compulsion on my path to impart on the people of Ondo state. I can assure them that I will not fail them. I have a contract with them and that contract is to make sure the sun shines again in Ondo state. All of us will live a better life. I urge them to keep hopes alive. I will surely be there by the grace of God.